Who says you can?t become a world traveller without having a little fun? This tour combines Thailand?s cultural highlights with one of the world?s most famous celebrations ? the Full Moon Party in Koh Phangan. But before you throw down, get your cultural fill first. Keep the energy up in Bangkok before relaxing in serene Chiang Mai. See a different side of Thailand on a Northern Hilltribes trek, or marvel at the unique lowland jungle of Khao Sok. When it comes to Thailand, you really can have it all. What's Included: Visit to Chiang Mai night market. Hilltribe trek. Bamboo rafting. Street food crawl. Lake Cheow Larn excursion. Full Moon Party. Bottle Beach full-day excursion. Beach time on Koh Phangan. All transport between destinations and to/from included activities. Group Size Notes: Max 18, avg 12. Meals: Eating is a big part of traveling. 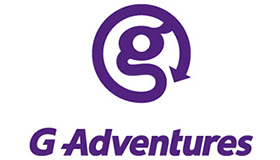 G Adventures understands the importance of breakfast to start your day, we strive to include a basic breakfast wherever possible. Included breakfasts will usually be asian style consisting of noodles or congee (rice porridge) or bread and eggs, however this may vary depending on the city. Should breakfast not be included, your CEO can suggest some local options. Minimum Age: Minimum age of 18 years for this trip. 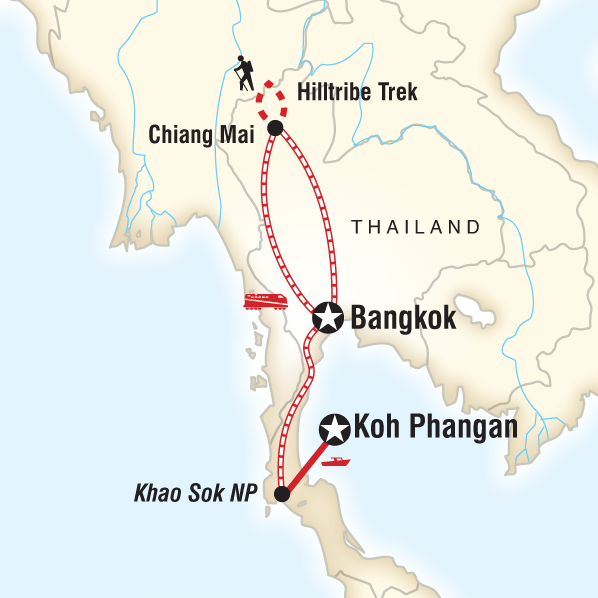 Add the ?Bangkok Express: Koh Phangan to Bangkok? to your adventure and make your way back to bustling Bangkok with the guidance of a CEO. This nifty post-tour Extra includes a ferry to the mainland where you?ll board an overnight train to Bangkok arriving in the city early the next morning. Speak to your Global Connection Officer or travel agent to book.